Did you ever want to travel to the fantasy world you could only read about in books? Battle against evil dark lords? Well, Faraway is the story of a boy who did just that. But not in the way you’d expect. Emmet O’Cuana’s Faraway is produced in collaboration with artist Jeferson Sadzinski and letterer Thomas Mauer. This first edition features an essay from Emmet On pay and panelology, as well as a commissioned gallery of Australian art from Scarlette Baccini, Paul Caggegi, Dean Rankine and Ele Jenkins (who also produced the dreamlike cover). If you’re in Melbourne, you can find a hard copy of Faraway at All Star Comics or Minotaur; in Sydney you can find it at Kings Comics; at Canberra’s Impact Comics; or Adelaide’s Greenlight Comics. Or, you can it from Comixology. FARAWAY is a hilarious send-up of high fantasy by a highly talented team. The art alone is worth the sticker price. I think he dug it. What starts off a fairly familiar Tolkien-esuqe world of hairy wizards turns into this surreal and crazy world which grabs you by the scruff of the neck and drags you into it’s vortex of weirdness. 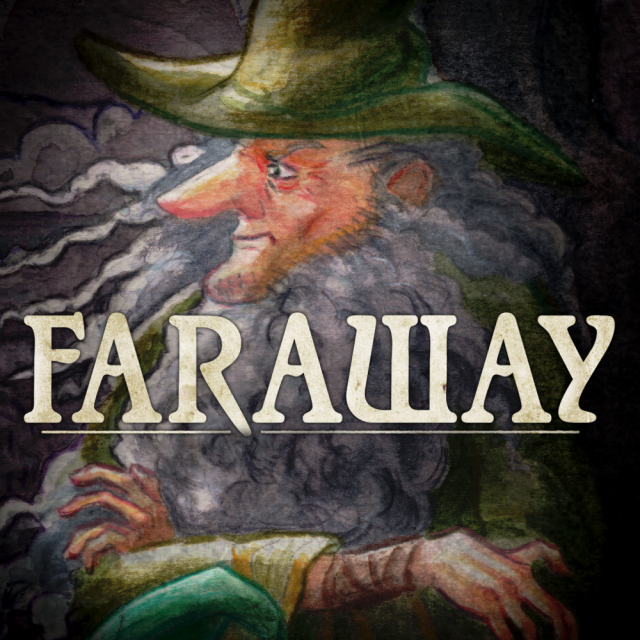 [Faraway] is a fifteen-minute wicked relish. A vibrant breather in the core of the mundane, intricately woven with its metafiction...and its breaking of the fourth wall, where fiction enters realism.